← The Hobbit Fan Fellowship Contest Winners Announced! The Queen Tweets For The First Time! #OMG! Who says she’s not a modern Queen? At 88 years-old Her Majesty Queen Elizabeth II is on top of everything current in social media including Twitter! 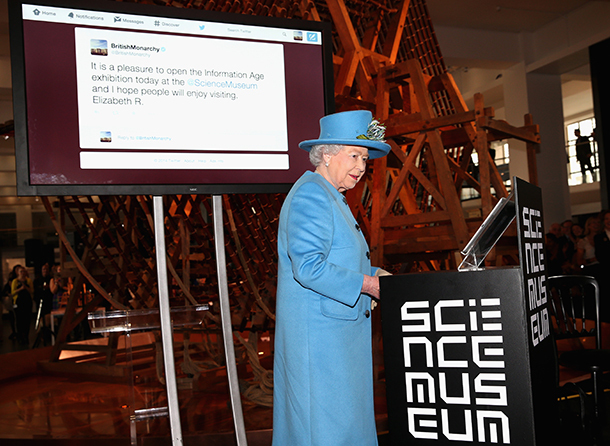 Today The Queen attended the Science Museum in London to open an exhibition about the information age, and it was there that she sent her very FIRST Tweet! #OMG! And what did Her Majesty say to over 724,000 followers? Read for yourself! How exciting is that to see? But don’t expect The Queen to be replying to every single request for a birthday shout-out or RT-ing pictures of your favorite cat, anytime soon. The British Monarchy Twitter page has previously been managed by palace officials and I suspect it will continue to be so…as I’m sure The Queen has more pressing matters to get on with. 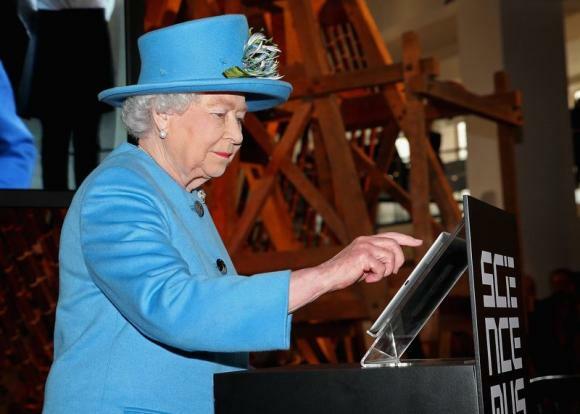 Indeed, The Queen has utilized modern technology in her communications throughout her reign. Her first televised Christmas broadcast was made in 1957 in which she mentioned “the speed at which things are changing all around us” . If she only knew exactly how much change she would witness in over 60 years on the throne! Well, we welcome Her Majesty to the Twitterverse and look forward to more exciting Tweets in the future!And don’t forget to #FF @BritishMonarchy to keep up to date with The Queen’s latest entries! Who knows what’s next…Pinterest? Snap Chat? Selfies? The possibilities are endless! This entry was posted in Rule Britannia! and tagged The Queen Sends First Tweet, Twitter. Bookmark the permalink.